2 pax 3 - 4 pax 5 - 6 pax 7 - 9 pax 10 - 14 pax Single Supp. Upon arrival at the airport, you are met and transferred to the hotel. Luang Prabang is perhaps the best-preserved traditional city in Southeast Asia. 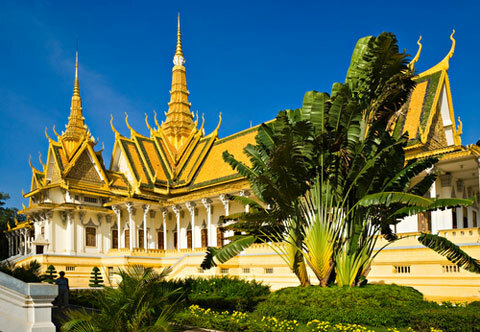 The tranquility and charm of this town with its splendid natural scenery and cultural sights make it one of the most delightfl places to visit in Laos . After a short rest, we visit the impressive stupa of Wat Visoun and the shrine of Wat Aham, Wat Mai; we then climb up to the top of Phousi Mount for an enjoyable exploration of the sacred, gilded stupa as well as a beautiful sunset view of the city and the Mekong River. From there, we explore Street Night Bazaar, where you can find the lovely collection and handmade textile by local and hill tribe people surrounding Luang Prabang. Overnight in Luang Prabang. This morning you may want to wake up early and participate in the daily early morning ritual of saffron-clad monks with their black Alms-giving bowls being given offerings from the local people. Free time for relax for relax until time for transferring to airport for flight to Hanoi. 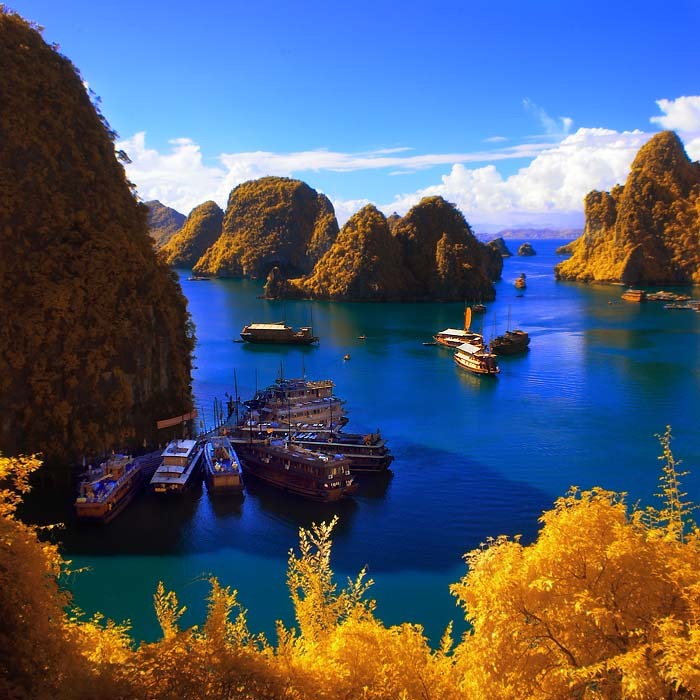 Our guide will meet and bring you to your hotel in Hanoi city for overnight. In the morning, take further cruise to explore the beauties of the Bay before returning to the Wharf. Enjoy brunch on board before disembarking. 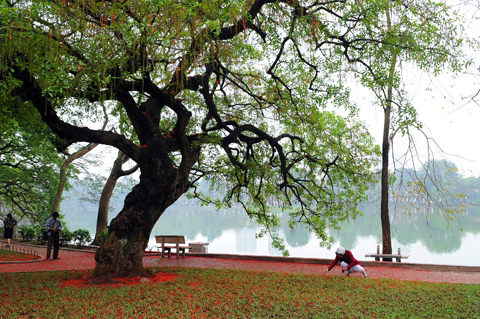 On the return to Hanoi, we stop on the way in Bac Ninh, for visiting a special place and the cradle of Vietnamese folklore music in the Red River Delta. We take a horse-drawn cart through country lanes to visit Dinh Bang Communal house & Do Temple, the temple worships 8 (eight) kings of Ly Dynasty (1010-1225). After that you will be invited to enjoy Quan Ho folk songs (duo of love songs) performed by local artists and singers. Overnight in Hanoi. 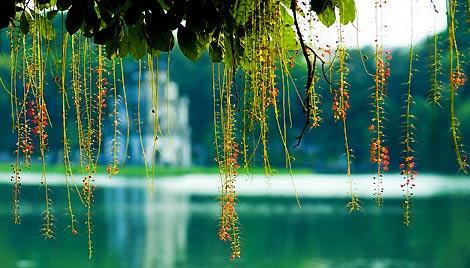 Free time in the morning before transferring to the airport of Hanoi for noon flight to Hue. Transfer to a the city check in your hotel. In the afternoon we pay a visit to the Imperial Citadel, constituted from the Real Fortress and theForbidden City, and the market of Dong Ba. Overnight in Hue. In the afternoon transfer to Hoi An through the famous of Hai Van Pass. 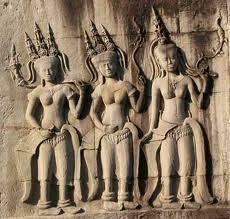 The car will stop for the visit to Cham Museumwhere display an open air collection of Cham sculpture. Overnight in Hoi An. Cruising along the small and picturesque tributaries by boat, we will see the Cai Rang floating market (the nicest one with heaps of rowing boats). Take in the beautiful scenery and the daily activities of the locals who lives along the Mekong canals and you will roam through the village to visit a rice husking mill and a rice noodles making shop. 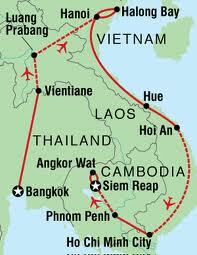 Then continue going to Chau Doc via Long Xuyen. Check in on arrival. 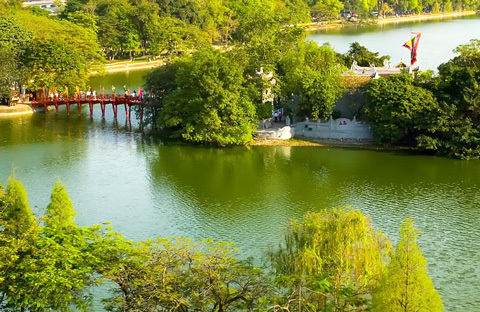 Visit the Sam mountain to enjoy the breath-taking view on the Vietnamese-Cambodian border with flat rice fields and nice canals, visit caved pagoda. Over night in Chau Doc. Morning breakfast at hotel then transfer to visit Tonle Sap Great Lake for Cruising, visiting fisherman’s life, floating fishing village dot the semi-submerged forest that lines the flood plant rim of the lake, back to visit Chantier Ecole-Artisan d’Angkor, the place are in the Ministry of Education was constructed in 1992 and this place renowned woodworking, stone carving and polychrome training center and workshops. Free tour of the classes and workshops offer a glimpse into the unique skills training program, teaching young artists in the techniques and styles of classic Cambodian artistry before transfer for departure lunch at local restaurant in the town. After lunch, visit old market for shopping until transfer to the airport for homeward flight.